Tire rotation is an essential component of your necessary vehicle maintenance. It’s both quick and easy to have the procedure performed at your local Highland Park service center, but if you have some extra time, you can save by embracing the DIY spirit. 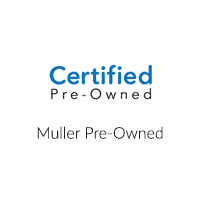 Find out how to rotate tires at home on your used Honda model with Muller Honda Pre-Owned, today. If you drive a front-wheel drive or a rear-wheel drive vehicle, it’s a good idea to rotate your tires at least once every 5,000-7,000 miles. Most drivers have the procedure taken care of at the same time that they get their oil changed. All-wheel drive vehicles can wear their tires down a little faster and should be rotated once every 3,000-5,000 miles. We’ve written a lot on general vehicle maintenance guidelines, but it’s always a good idea to check your owner’s manual for more specific service instructions. Front-Wheel Drive: Move the front tires to the back, retaining their respective left/right positions. Move the rear tires to the front, swapping the left for the right as you do so. Rear-Wheel Drive: It’s just the opposite with RWD vehicles. The front tires should be swapped, left for right, as they move to the back of the vehicle. You can move the rear tires up while keeping them on the side of the vehicle that they already occupy. For the purposes of tire rotation, all-wheel drive vehicles can be treated as if they utilized RWD. Make sure that your parking brake is engaged. Use the lug nut wrench to loosen all four of your wheels. Don’t remove them yet. Use the jack to lift up one wheel at a time, and place a jack stand beneath it. Remove and rotate each tire one by one, according to the pattern laid out above. If you have time, check your tire pressure and refill your tires as you go. Reattach each tire by holding it up to the wheel mount and screwing the lug nuts in by hand. Once the vehicle is back on solid ground, use the lug wrench to tighten the bolts as much as you can. Work in a diagonal pattern to ensure even tightening and prevent unnecessary brake rotor wear. If you have any questions about the at-home tire rotation process, or just want to know how an expert would handle the change, you’re always welcome to contact us to learn more today!